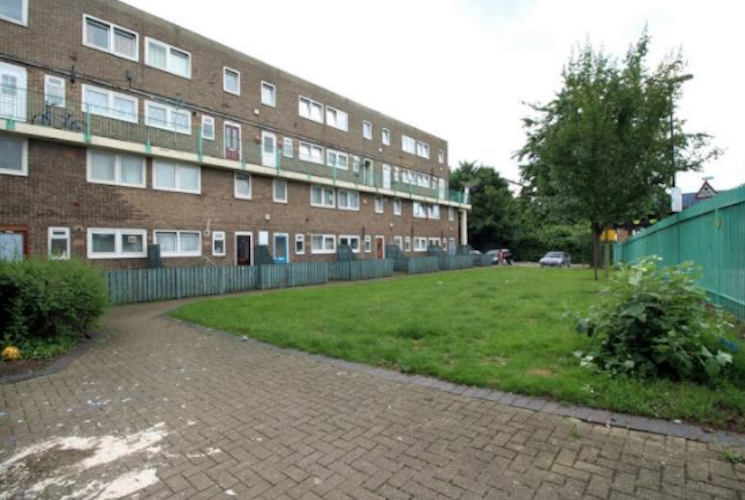 Haringey battle lines are being drawn for what could be the first vote under London Mayor Sadiq Khan’s new policy requiring resident support for regeneration schemes with Greater London Authority funding. A ballot on Tottenham’s 297-home Love Lane estate has been announced for March and April next year. The vote puts £60 million of City Hall investment at risk and brings further uncertainty to plans to demolish the estate as part of the wider High Road West scheme for delivering 2,500 new homes, a new library and learning centre, public space linking White Hart Lane station to the new Tottenham Hotspur football stadium, shops and leisure provision. The GLA funding, primarily covering land acquisition and infrastructure, would unlock delivery of at least 700 affordable homes, including 191 replacement council dwellings, plus 500 new jobs and a further 3,500 during the construction period. City Hall papers reveal commitments to work towards an increase in affordable housing from 35 per cent to 50 per cent of the total. 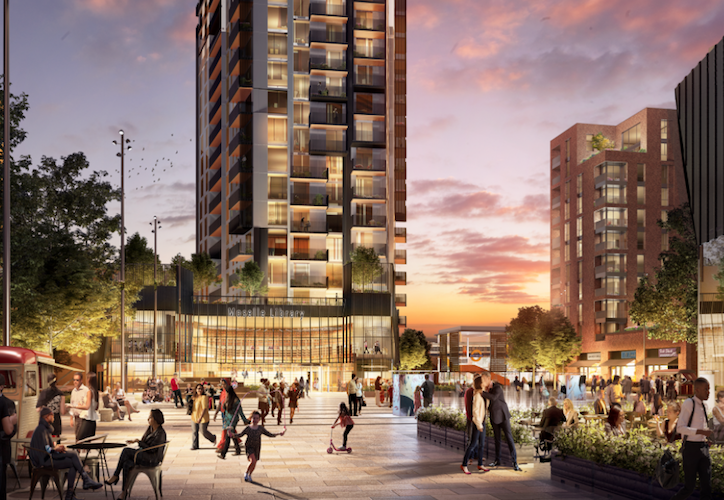 The plans have already proved controversial: the council’s development partner at High Road West, appointed following competitive tendering in 2017, is Lendlease, the private half of the ill-fated Haringey Development Vehicle, which was scrapped after this year’s decisive pro-Jeremy Corbyn change in the council leadership. As well as wider opposition to alleged “social cleansing”, businesses on an industrial estate due to be cleared for the scheme are objecting and a new group including residents placed temporarily on the estate by the council as well as secure tenants is opposing the “Lendlease wrecking ball”. A separate petition stops short of opposing the demolition but calls for at least a third of new housing to be council homes at existing rent levels, and for those in temporary accommodation on the estate to be given permanent council housing. High Road West was approved under the council’s previous administration, with a “right of return” and council ownership of replacement homes, after a consultation found that 70 per cent of tenants living on the estate at that at the time supported demolition. Many of those households are no longer reside at Love Lane. The council will now be consulting on a “landlord offer” including details of the redevelopment scheme, rights of return for social tenants and proposals for leaseholders and those in temporary accommodation. Temporary Love Lane residents and those renting properties there privately will not be eligible to vote unless they have been on the borough’s housing register (waiting list) for at least one year prior to the landlord offer being published. As well as the ballot uncertainty, site assembly is problematic. Part of the site, a goods yard north of the Love Lane estate, is owned by the football club and subject to a separate planning application to be determined at public inquiry. Haringey’s planning committee will be asked to confirm its opposition to the Spurs proposal next week, while Lendlease has attacked it as undermining a “once in a life time opportunity to bring forward a comprehensive council and community-led redevelopment which, when realised, will immeasurably improve the living conditions of residents in the Northumberland Park ward and provide wider community benefits”. A GLA spokesperson said that ballot announcements were a matter for councils, saying only that “we understand that a number of landlords are making preparations for ballots”. Top image: Lendlease computer image of completed scheme. Middle image: part of the estate as it is now.